If you're looking for a versatile training shoe then these Reebok Speed TR FlexWeave Training Shoes in Black are the ideal footwear for you. The Reebok Speed running trainers have been given upgrade to include a Flexweave upper. Flexweave's innovative figure eight woven structure allows for a dynamic upper construction with targeted support. Whether you're long distance running or hitting the gym for a weight session these Speed TR FlexWeave trainers have got you covered. 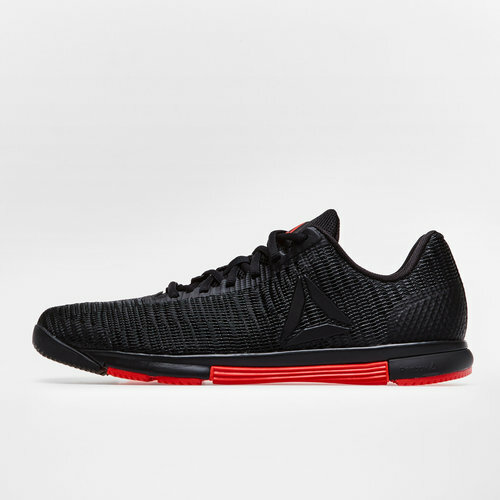 Stability is provided in the form of the low profile platform and traction outsole whilst the anatomically shaped last means you can go from sprints to weights and back all in one shoe.